Nocturia is the medical term for excessive urination during the night. During sleep time, your body produces less urine that is more concentrated. This means that most people don’t need to wake up during the night to urinate and can sleep uninterrupted for at least six to eight hours. About 1 in 3 adults over the age of 30 make at least two trips to the bathroom every night. And while the majority of those who are dealing with nocturia are usually over the age of 60, nocturia can occur at any age. Aside from disrupting your sleep, nocturia can also be a sign of an underlying medical condition. A result of a kidney or bladder condition, such as kidney stones, a urinary tract or bladder infection, or an overactive bladder. Constipation which can cause the bowel to distend and put pressure on the bladder. And, of course, excessive fluid intake can cause you to need to pass water at inconvenient times. The obvious symptom of Nocturia is an increased urge to pass urine during the night resulting in disruption of sleep. At times the urge to urinate may not subside even after passing urine and the person may feel uneasy and restless throughout the night. 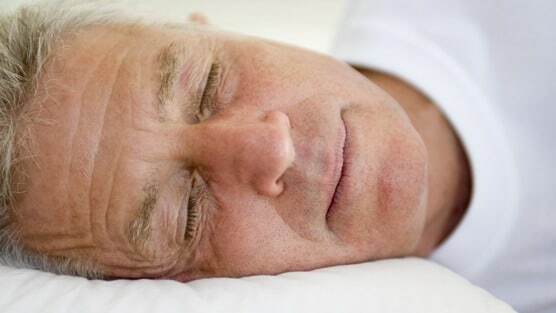 Nocturia can also be a symptom of a more serious condition, such as diabetes and can worsen if left untreated. Nocturia due to an underlying condition will usually cease once the condition has been successfully treated. Diagnosing the cause of nocturia can be difficult and your doctor will need to ask you a variety of questions as well a running a number of tests. It can be useful to maintain a diary for a few days, recording what you drink and how much, along with how often you go to the bathroom. Once the probable cause of nocturia has been determined, your doctor can then decide on the best course of treatment. Restriction of Fluid Intake Naturally, limiting the intake of fluids in the evening results in a decreased amount of urine produced at night. Afternoon Naps This can help reduce fluid buildup by allowing liquid to be absorbed in the bloodstream. When awakening from a nap, you can use the bathroom and eliminate excess urine. Elevation of Legs Like naps, elevating your legs helps redistribute fluids so it can be reabsorbed into the bloodstream. Nocturia can be a debilitating problem for many people as it can affect their daily lives and create chronic sleep impairment. However, with the proper management, motivation, and dedication this condition can be overcome for a better quality of life.